META-Kinetics Mentoring - META-Health Academy. META-Kinetics Mentoring - META-Health Academy. Boost your confidence with META-Kinetics, gain new techniques and develop your skills - join our META-Kinetics Mentoring Day! Are you a META-Kinetics student, Practitioner, Advanced Practitioner or Master Practitioner? Would you like to deepen your skills and practise with fellow Practitioners? Are you keen to benefit from balances on your own goals and issues? Take advantage of this unique opportunity to enhance your work with META-Kinetics. This special day complements our META-Kinetics training programmes, giving you invaluable experience, along with support and advice from the Developers of META-Kinetics. 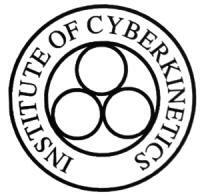 It is open to those who are already qualified in META-Kinetics or currently working towards Practitioner status. Why Join Our META-Kinetics Mentoring Day? And of course, all the benefits of receiving META-Kinetics balances for yourself! Robert, Joanne and Tremayne will all be on hand to support you on the Mentoring Day. 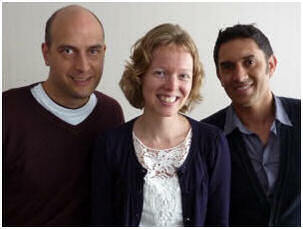 Together with the late Alan Sales, Robert, Joanne and Tremayne are the co-developers of META-Kinetics. The trio have been teaching others how to use this incredible system since 2010. They each bring unique qualities to their courses, with Robert's deep understanding, Tremayne's mastery of Kinesiology and Joanne's ability to break down complex concepts into easily understandable 'chunks'. 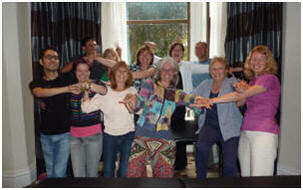 Together they ensure that their courses are enjoyable, inspiring and transformational! 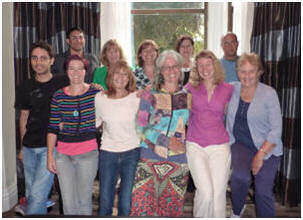 Robert and Joanne are Senior Master Trainers in META-Health and have been teaching META-Health since 2007. They are on the Advisory Board for the International META-Medicine Association, and are actively furthering the development of the field, with META-Kinetics and other innovations including the Emotional Pattern Elicitation Process and the forthcoming Fusion Energetics Approach. Robert, Joanne and Tremayne are continually innovating and evolving their understanding through this incredible system of mind-body-social enquiry - and passionate about sharing this with their trainees! Amazing day - lots of useful and intuitive practical support from the tutors (to whom nothing is ever too much trouble), the usual dollop of healing and, of course, I just love hanging out with you all! It was a wonderful experience to be with such an amazing awakened group. Love and healing are inevitable in this emergent paradigm. What Will We Do On The META-Kinetics Mentoring Day? Each Mentoring Day provides opportunities for meeting and sharing with fellow therapists, health professionals, META-Kinetics Practitioners, META-Health Coaches, Trainers and Master Trainers. Balances - opportunities to receive META-Kinetics sessions with other Practitioners to uncover your hidden blocks, gain insights, release stress and further your own healing journey! The content of our META-Kinetics Mentoring Days is based on participants' requests and desires. So let us know - what would help you to develop your META-Kinetics practice most? Let us know what you really want to learn and have it included in this or future Mentoring Day programmes! You can book for one day, or book two or three days with our EFT and/or META-Health Mentoring for a whole Mentoring Weekend.